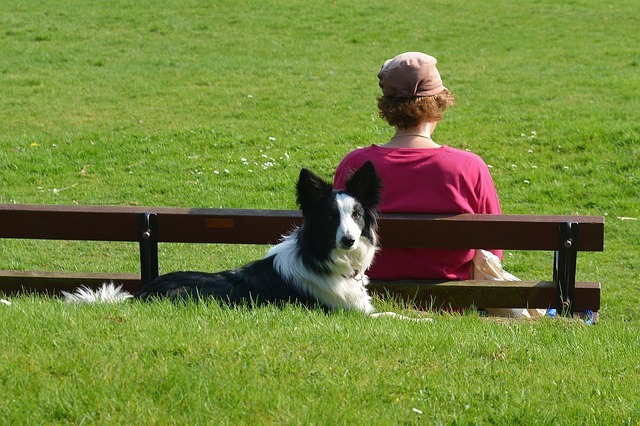 Home » FAQs » Border Collies in Apartments: Can They Live a Happy Life? Can border collies live in apartments? Are border collies good apartment dogs? Let’s face it, more and more people are moving closer and closer towards metropolitan areas and further from areas with plenty of land to go around. There are many reasons for this, with the main one being the hunt for bigger and better jobs. When you make the move to an urban area, downsizing is inevitable, and backyards are almost non-existent. Trust me, we are in the process of doing this as well. So when it comes to owning a border collie, is it the right move for them? Border collies in apartments? Can it be done? Can they live a happy life? Keep reading to find out. Border collies, like all other dogs, have fundamental daily needs to stay alive. These include food, water, a place to go to the bathroom, and a place to sleep. But unlike many other dogs, border collies need a place to let loose and burn off some energy. They are like little balloons of energy ready to pop at any moment. If you don’t give them the daily attention they need to drain this energy, then they may very well pop. Border collies are built to work and they are built to learn. They need daily mental and physical stimulation or they will go stir crazy. This means exercise for physical stimulation and training/activities for mental stimulation. They need more than a walk here or there, and some training when you feel like it. Border collies need a couple hours of your time per day, at the very least. Let me rephrase the question for you because the answer comes down to you. Can you spend the time and energy it takes to give your border collie the attention they need to live happily in an apartment? When it comes down to it, the answer is, of course, border collies can live in apartments. They can live anywhere as long as they meet their daily needs. But living life and living a happy life are different things. So, are you willing to go out of your way to provide them with what they need to live their best life? Then yes they can live in apartments. Otherwise, probably not. I’m not going to lie and tell you that an apartment is the best place for a border collie to live because it’s not. You probably know that, or you wouldn’t be reading this article in the first place. What it really comes down to is if you have the time and energy to give them the care and attention they need to be happy. If you can put in the extra effort, then border collies can be good apartment dogs. If you can’t, then I would advise against it. Living with a border collie in an apartment is not a breeze by any means. There is no backyard. There is no way for you to open the back door and let them do their thing. In an apartment, you are the one in charge of providing them with the exercise and mental stimulation they need. With that being said, when it comes to living in an apartment with a border collie, size isn’t so much the issue. It’s more about the amount of time and energy you spend with your doggie. There are some things you have to keep in mind if you want to live with your border collie in a flat or apartment. If you’re thinking about making the leap, keep reading below. Some are pros, and some are cons, but all will better inform you of what you are in for. Because you’re the one in charge of their exercise and physical fitness, you’re going to be outside a lot more than you’re used to. Think about it, not only does your border collie need to go to the bathroom, but they also need exercise and plenty of it. 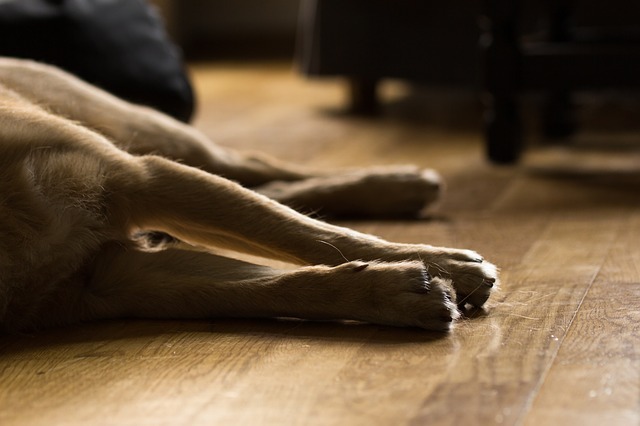 You’ll find yourself going on multiple walks, runs, or bike rides a day to wear your doggie down. Even when you don’t feel like it, or the weather is bad, you still have to do it. I remember back when I lived in my childhood home on an acre of land. Exercising the dogs was as easy as letting them outside to run around and play fetch. It was almost too easy. Now that I live in a house with a small backyard, it’s completely different. And living in an apartment is even harder. Luckily for you, if you’re in an urban area, chances are there are dog parks nearby. This is what I’ll talk about next. Dog parks are great. There couldn’t be enough of them. Dog parks are the closest you’ll get to having your own a backyard if you live in an apartment. If you have never seen or been to a dog park, it sounds pretty much like what it’s called. It’s a park for dogs. What makes it different from a park is that it is fenced in, and the dogs can run around without a leash. This means plenty of fetch for your border collie. Dog parks will be your best friend when you live in an apartment because they allow your dog to run free. Your dog will love you for it too. No more tiny living rooms or walks on leashes, just pure freedom. All border collies need mental stimulation. It doesn’t matter if you live on a farm or in an apartment. Mental stimulation can be anything from dog training, games, interactive toys, dog sports, and more. If you have never had a border collie before, you would be surprised at the number of things they can learn. I know my collie mix will do anything if treats are involved. If you want some ideas on games and activities you can teach them, here is a good forum thread on this. With the amount of time you’ll spend going in and out of your apartment, you’re going to meet all your neighbors. It’s funny because before I had a dog, I could only tell you the names of the neighbors on either side of me, and that was it. Once I got a dog, it all changed. 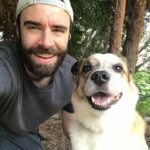 Now I can tell you the names of every neighbor with a dog (And the name of their dog) because I run into them so often. For introverts, this may seem daunting at first, but it’s a nice feeling after you get used to it. Plus my collie loves seeing the other dogs on a daily basis. You’ll find that having to go out and exercise your dog multiple times a day will make you feel better as well. Unless you’re into fitness, or already walk everywhere, chances are, you aren’t exercising a ton. Definitely not multiple times a day. Living in an apartment with a border collie will change this for the better. Walking, biking, hiking, and/or running daily will become part of your daily routine, and your body will love you for it. Let’s face it, sometimes living in an apartment with a dog can be inconvenient. Letting your pup out the back door is so much easier than putting on clothes, leashing up and going on a walk. Prepare for late night emergency bathroom trips in your pajamas. And taking them out in the snow, rain, or heat. There are some times when you will really wish you could just have a backyard to let them run around in. But if living in an apartment is your only option, and you are willing to accept this, then you can make it work. Now you know how you to live in an apartment with a border collie and what it takes for them to be happy. Here are some of the pros and cons listed out below. When it comes down to it, living in an apartment with a border collie comes down to if you are willing to put in the work. If you are, then the benefits can outweigh the cons. The moment you have been waiting for. Or did you scroll to the bottom for the answer? Either way, here’s my opinion. To me, the answer is yes, with a caveat. If you think you can live in an apartment and put little in or no time and effort, then your border collie will not be happy. 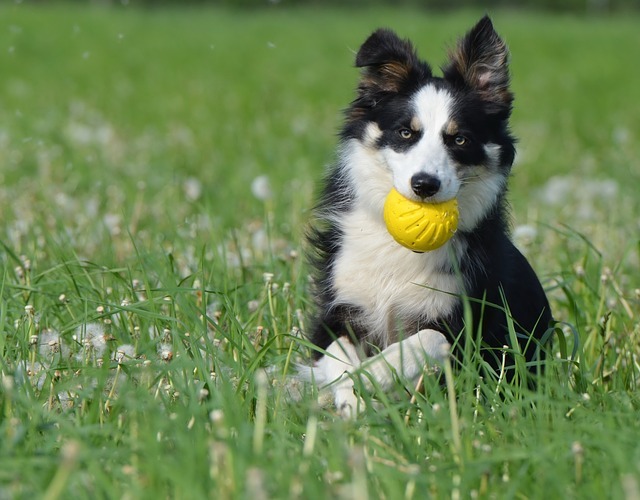 But, if you are willing to dedicate a couple hours or more a day to your border collie to provide them with the physical and mental stimulation they need, then yes they can live a happy life in an apartment. Can I leave a border collie 8 to 9 hours at an apartment alone when I am at work. Then, I can spend at least 2 hours for physical exercise and one hour for mental stimulations. What about other dogs? How office workers keep their dog during the office hours? Sorry, Eric. This comment must have slipped through the cracks! Yes, when I was working at an office, I would leave my border collie at home for 7-8 hours during the weekdays. I just made sure to get him some good exercise before and after, and then before bed. They will become used to whatever exercise you give them. 2 hours is just a guideline that I would try to reach every day. You’ll know when they aren’t getting enough exercise and mental stimulation because they will start gaining weight and becoming destructive while you are away at work.